Here's a little autumn deko inspiration to end the weekend. Don't you just love the mix of warm whites, blacks and geometric shapes? Happy Sunday eve everyone, I'm off to have a cup of tea and enjoy my weekly dose of Downton Abbey now. Lovely picks! 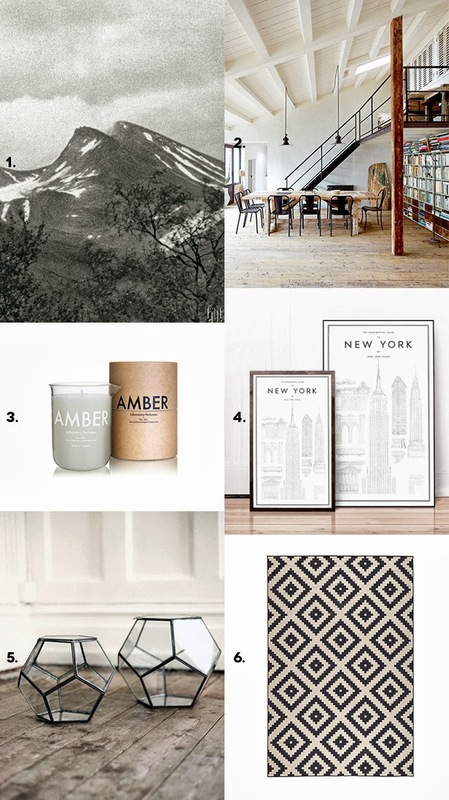 I really like that NY print!